Just popping in to say hello (that’s me waving)! Time to get busy, but here’s a recap of last week. The chest of drawers was found at an auction on Saturday night. It was cleaned, painted, waxed, distressed and delivered for sale by Tuesday. It was just one of two. Yes, we were busy! 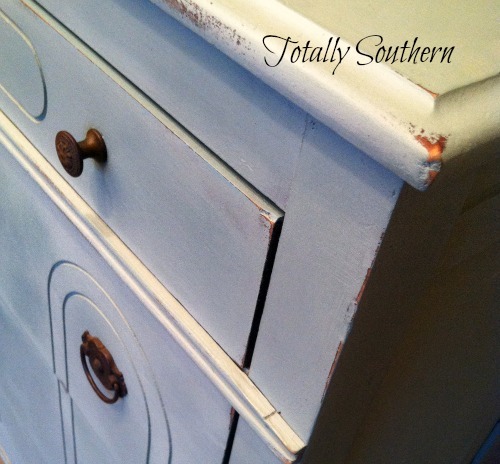 The second was painted in a custom blend of colors using my favorite Chalk Paint. It turned out such a beautiful, pale pink. Before and after pictures are coming soon so you can see the true transformations with the makeovers. Pretty and happy colors! And just look at that beautiful vintage hardware. I LOVE it! 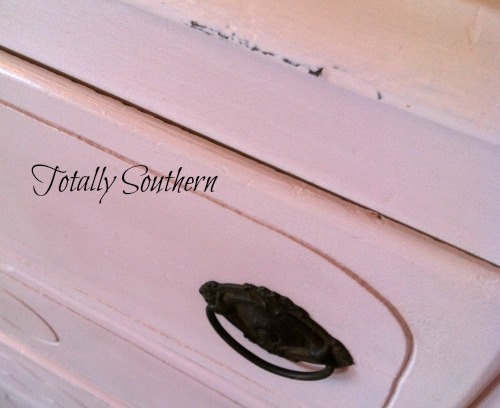 To read more about Chalk Paint you can go here and here. The following are a few shots from Instagram with a little randomness from my week. All pictures were taken using my iPhone. It’s always handy and makes decent pictures. It seems that I never have my real camera handy when I need it. Do you ever have this problem? 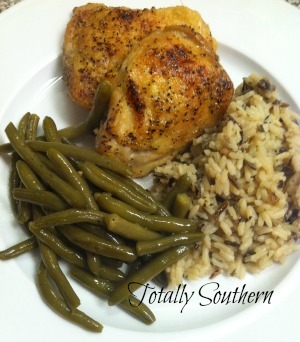 Delicious Lemon Pepper, Oven Roasted Chicken Dinner with Long Grain and Wild Rice and Green Beans. So delicious! Trust me. Quick, easy, healthy, homemade from scratch and oh, soooo good! 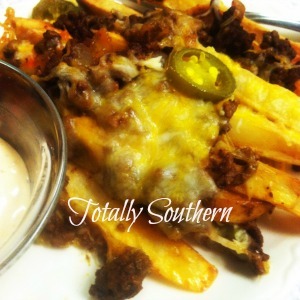 A large plate of delicious home-cut fries, slathered in homemade Chili, smothered in cheese with a side of jalapenos and spicy ranch dipping sauce. All Homemade from scratch. Oh my! Fresh and Homemade is always better! Cinnamon Rolls piping hot out of the oven and freshly spread with a sweet cream cheese frosting. Yum! 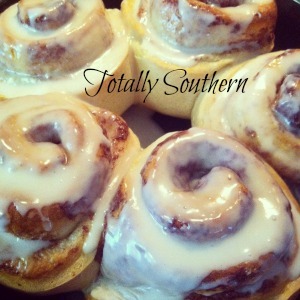 These were homemade from a can of Pillsbury Grands Cinnamon Rolls. Even though they weren’t made completely from scratch, they were delicious and the time saved made me even more happy. Win, Win! I love Instagram. It is so fun to share a little of my world and see other folks photos of their daily lives. I have even made some Instagram Buddies. Really! I just know we would be BFF’s in Real Life! If you have Instagram, please check mine out by clicking on the link or there is a link in sidebar – icon at the top is a cute little camera. 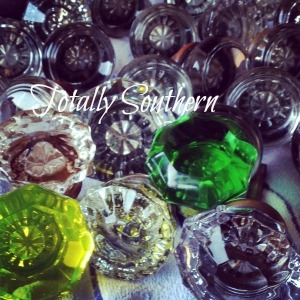 I found a medium size box full of antique door knobs! This is just a very few of them. All shapes and sizes and colors. They were packed by me in Oklahoma and moved back to Alabama. Why you ask? I have no idea. Other than the fact that they are AWESOME. What will you be doing this week? I hope it is productive, creative and happy! Have a Blessed week, my friends! P.S. Follow me on Instagram, FaceBook and Pinterest, - click on the links here or find them on the right sidebar at the top. I just love connecting with new folks! Hi Claudia! So glad you stopped by!! I’ll post on instagram and facebook when my next post is ready! Thanks again! ???????? stopping to know your blog!!! I follow you at instagram, as @michaelclaudiat. Well, just saying Hi, now i am off to check the posts ???????? Thanks Susan! I sell it at Old South Antique Mall in Dothan, Alabama. I also take custom orders. So glad you stopped by! Oh my gosh! I love the furniture. Where do you sell? Glad to stop by from instagram!